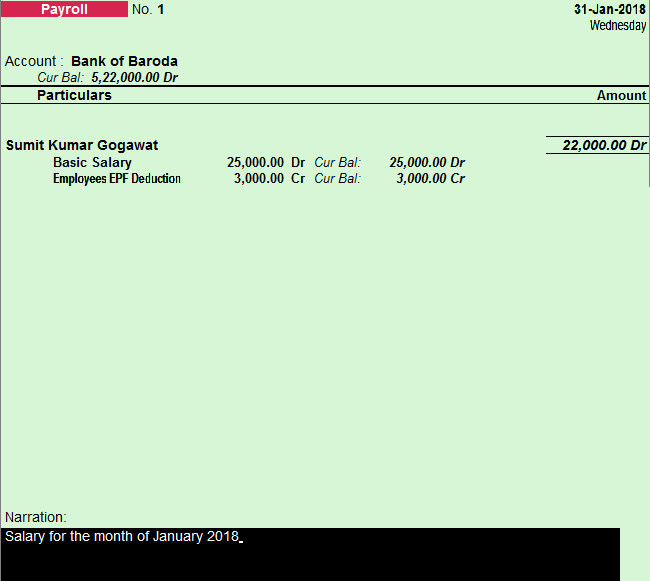 Creating Salary Slip without Integration of Payroll in Tally. Today we discuss about creating salary slip without integration of Payroll. Configuration of payroll is not so easy and it taking time to configure. 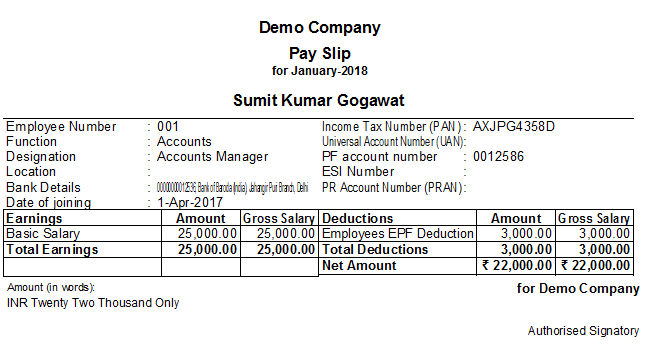 So in this post we discuss about how to create salary slip without attendance voucher or without integrate complete payroll in Tally. 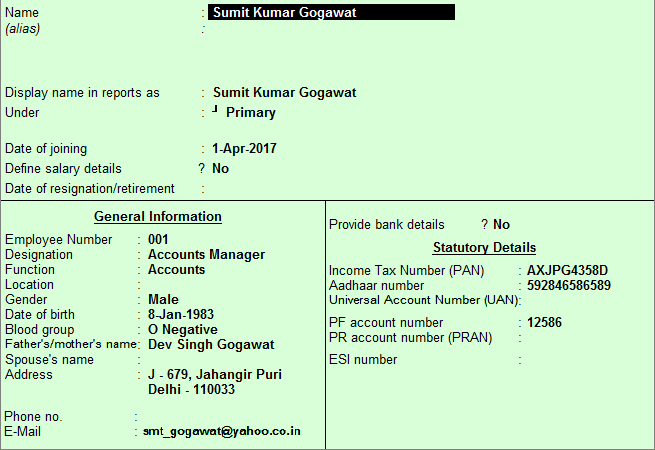 Note: This post only help you to generate pay slips, you cannot maintain records of any other statutory details nor any calculation automatic through this method in payroll. Now we create Pay Heads like salary etc. Now we create statutory deductions like employee pf, esi etc. Enter require ledgers and enter amount manually. 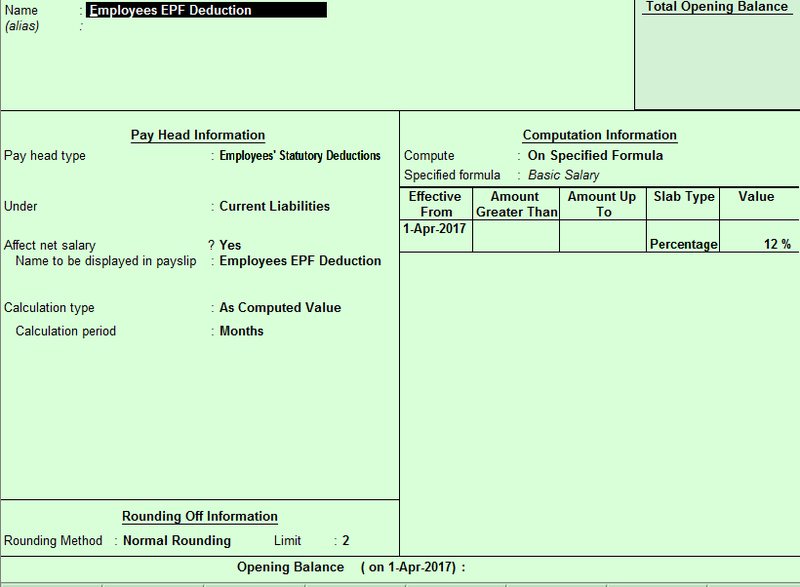 Automatically calculation only be filled if you configure payroll completely. Now to to Display - Payroll Reports - Statement of Payroll - Payslips - Single Play slips . Select employee name and enter press. 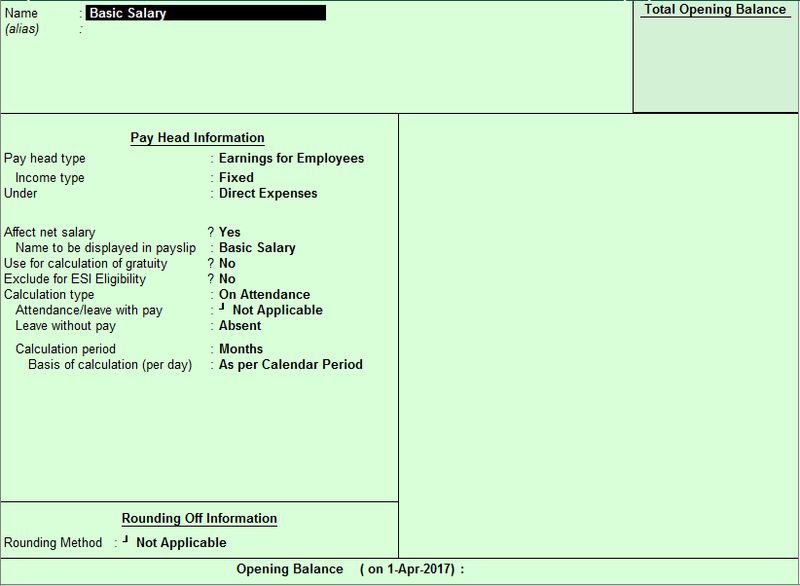 Salary slip generate on your screen for print. Give print command. Basic Salary will be debited to profit and loss.